Tijuana sits at the crossroads of Mexico and the US. Its best-known landmark is probably the US border, the most frequently crossed port of entry in the world. Referred to as “The City of Migrants,” Tijuana is where Mexicans can live and commute to the US for work, and where Americans can escape for a night or two without getting too far from their comfort zone. For migrants coming from the South, it’s the last stop before entering the US. Yet Tijuana, one of the fastest growing cities in Mexico with more than 1.5 million residents, is becoming much more than a brief checkpoint. Thanks to an increasingly diverse population, Tijuana is on the verge of becoming a destination unto itself. If you’re unconvinced, all you need to do is look at the food. You don’t have to be a foodie to find good food in Tijuana. Because of the wealth of street food and a large number of good restaurants, a traveler could easily sniff around and stumble upon some great finds. Diversity is Tijuana’s strength here, with culinary inspirations both past and present shaping the modern food scene. Modern Tijuana is more than just tacos, but it’s impossible to talk about the city’s food without also talking about tacos. Tijuana taco vendors set up stands from their trucks and operate out of small shops all over the city. Birria de res (stewed beef) is the most popular morning taco, and most vendors sell out of meat by lunch. Steak tacos grilled over mesquite are popular mid-day options. After dark, the city turns to carne adobada (known as al pastor in Southern Mexico) to get them through the night. Las Ahumaderas is Tijuana’s “taco alley” where carne adobada vendors stay open 24/7. Six vendors are lined up, competing for the attention of hungry night owls. The tacos here are done in what has become known as the classic Tijuana style: slightly larger tortillas than what much of Mexico uses, wood-grilled meats for filling, and heaps of very lightly seasoned guacamole on top. Fried fish tacos and spicy cóctel de mariscos (seafood cocktails) are ubiquitous as well. 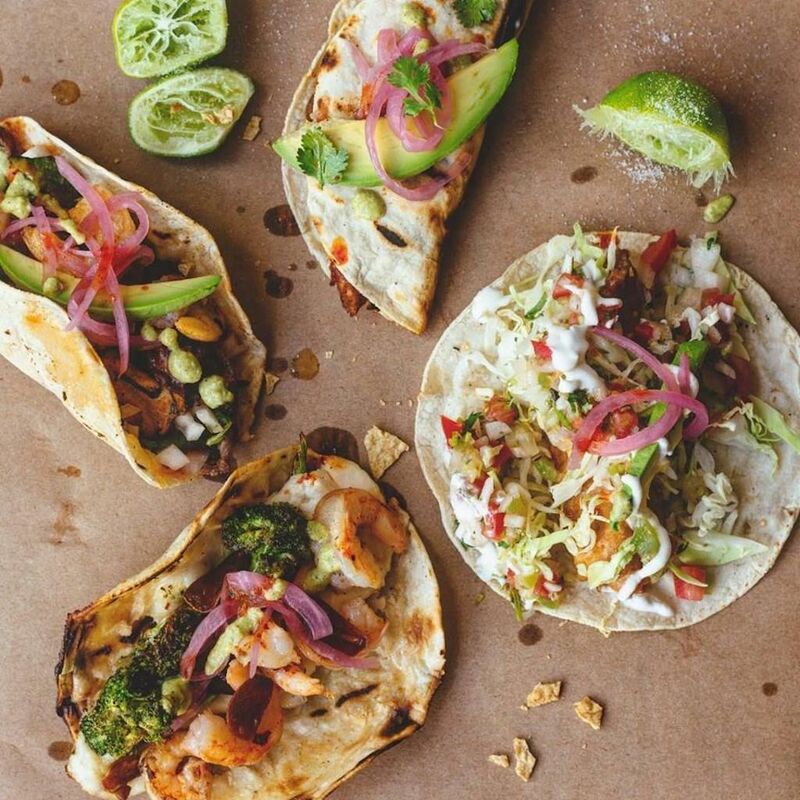 They’re served up Baja style or Sonoran style. If you want to try something that you can’t get in San Diego, adventure to one of the Sonoran seafood spots, like Cahua del Yayo where they specialize in tuna fin tacos. The fin of tuna has a flabby texture and tastes much fishier than the tuna’s meatier parts. It will be an acquired taste for most but a memorable bite for all. It wasn’t always tacos first and foremost, though. The all-night burrito stand, Bol Corona, is older than most taco spots. These Sonoran-style beauties are a favorite after-hours snack in Tijuana. Regional specialties from Sonora, Sinaloa, Chihuahua, and Durango are all easy to find around town, making Tijuana perfect for travelers seeking a crash course in the Norteño style of cuisine. In that spirit, flour tortillas and beef, Northern Mexico’s favorite ingredients, are common here. Tijuana is an international city — and not just because it hugs an international border. There are notable Chinese, Southeast Asian, Arab, and West African populations. People with Chinese heritage are the largest group after Mexicans and Americans, and there’s a vibrant Mexican-Chinese hybrid cuisine popular around Baja. Meals at Chinese restaurants in Tijuana start with colorful shrimp chips, a tradition that has since vanished north of the border. In general, the food here is reminiscent of the older Chinese restaurants in California in general. In Mexico, the old chop suey style of Chinese is still popular. Mexicali, the next town east, has the largest Chinatown in Mexico (as well as over 300 Chinese-owned restaurants). One of the oldest restaurants in Tijuana is Caesar’s. 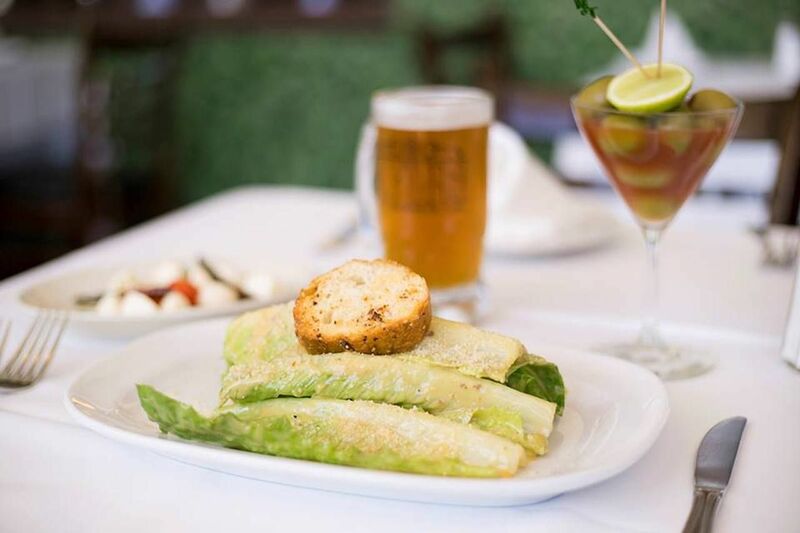 It’s where the namesake Caesar salad was invented by an Italian immigrant named Caesar Cardini, who improvised the salad when vegetables weren’t being delivered in 1924. The dish is still made tableside as the ingredients to the famous dressing are listed off to diners throughout the emulsification process. Anchovies, parmesan, and garlic all power the pungent creamy dressing while a subtle Mexican touch — limes instead of Italy’s lemons — ties everything together. 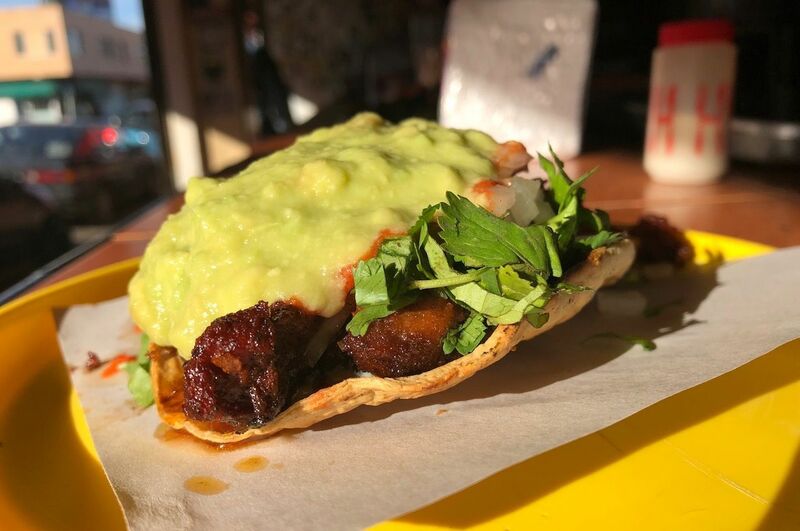 Baja Med cuisine was also developed in Tijuana by elevating Baja ingredients with simple Mediterranean preparations: fried fish tacos with an airy tempura batter, for example, or octopus tacos laced with olive oil. Chef Javier Plascencia is the most famous chef in Baja Med and perhaps the most famous chef in Tijuana. His cevicheria, Erizo, is an upscale fish house offering fresh raw bar fare, Tijuana-style tacos, and ceviche that combines Peruvian and Mexican traditions. 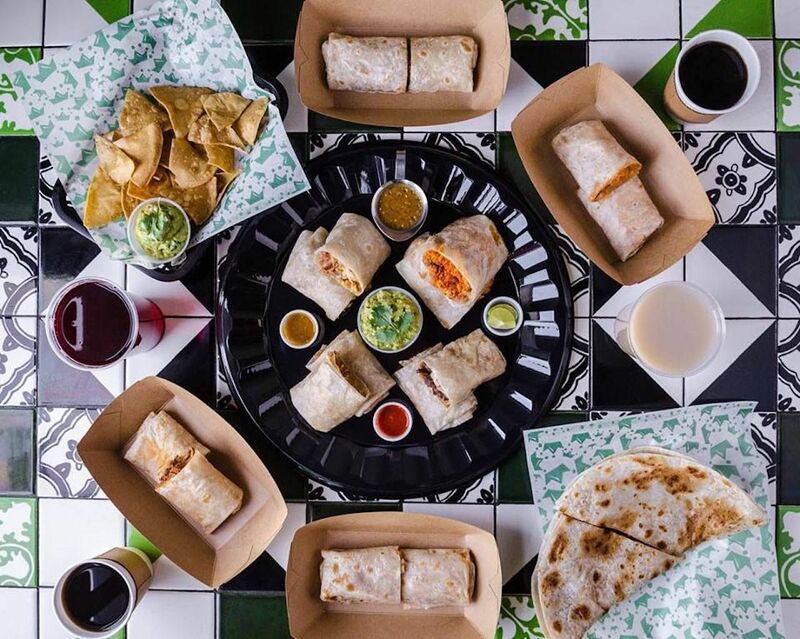 Any lover of food should find a way to get to Tijuana. The Chapultepec neighborhood could be mistaken for a suburb of Los Angeles, and as Tijuana’s fortunes rise, it’s not hard to imagine a time in the near future when the city’s expanding suburbs are just as well known for food (we just hope they keep the street tacos). For your own trip south of the border, here are the Tijuana hot spots you need to try. Bol Corona: Open since 1934, this burrito stand, named after a now-demolished bowling alley, has been making burritos with its own flour tortillas. The signature order is machaca, or dried beef fried with onions, garlic, and peppers. Taqueria el Franc: This taqueria next to a tire-repair shop opens in the late afternoon. It’s widely regarded as having the best carne adobada in Tijuana. The tacos are made with fresh tortillas warmed over a fire, and the meat on the spit is treated with an unusually complex marinade. Caesar’s: Open since 1927, this is one of Tijuana’s oldest and most iconic restaurants. The salad created here appears on menus from fast food franchises to upscale steakhouses. It also serves fairly good versions of Italian classics, Spanish tapas, and French bistro fare. It’s the perfect international restaurant for a very worldly city. Erizo Cocina de Mariscos: One of celebrity chef Javier Plascencia’s many restaurants, this upscale cevicheria specializes in raw and citrus-marinated dishes filled with ocean-fresh oysters, scallops, and the critter for which the restaurant is named: sea urchins. You could have a simple lunch of fish tacos here and be very happy. Calhua del Yayo: This humble Sonoran seafood dive offers tuna fin, manta ray, and blood sausage tacos. If those flavors are too punchy for you, try the excellent octopus and olive taco with strong flavors of olive oil and tender braised octopus. Taco Memo’s: A favorite taco truck of the many in town. This vendor specializes in tacos grilled over a wood fire on soft flour tortillas with a smear of refried beans. Add some crunchy chicharrones to take them to the next level.